Posted in: ADHD. 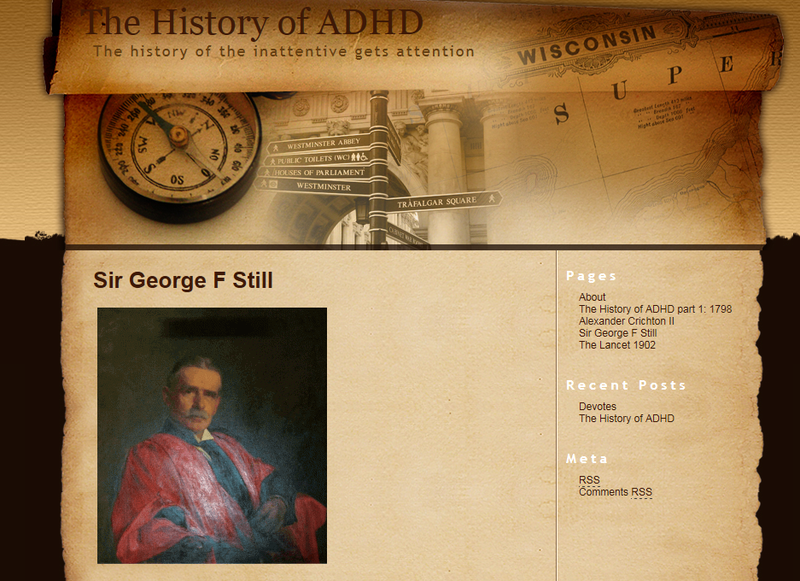 Tagged: ADD History, ADHD History, adhdhistory.com, George Still, The history of ADHD. 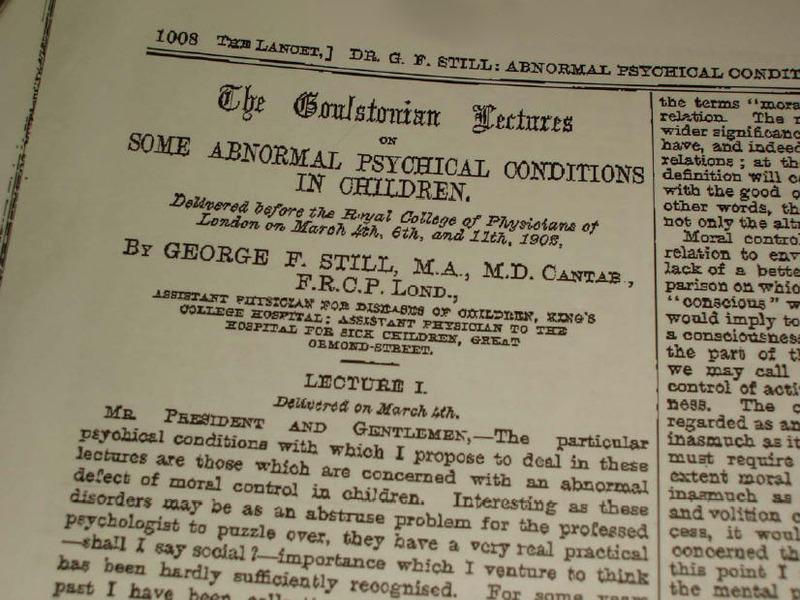 The ADHD History starts back in 1798 with the first known medical recording of the symptoms by Alexander Crichton. The next part is from 1902 by Sir George F Still.